Hi my name is Minerva, and today I´m going to tell you about my class and my school. 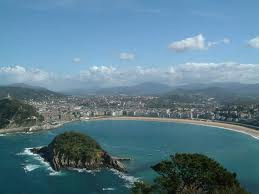 My school is in San Sebastián, in Gros, it is next to or opposite the health care centre and near Zurriola beach. It is a big school and it has a big playground too. It has 3 floors, the first floor has the canteen, the information point, the library, the thecnology class and it also has the toilets. The second floor is my floor and it has a lot of classrooms and two toilets. And the last floor is for the teachers, and the ones that are in third and fourth grade. My class is a big class, it has 23 desks, some bookcases and a whiteboard. 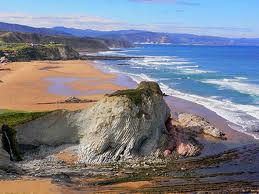 In my class there are 4 big windows and from them we can see Zurriola beach. My classmates are fantastic, nearly all of the boys do skate and all the girls do hip-hop.We like talking a lot and specially to those like me. My favourite subjet is English because is the best thing I do. The difficult one for me is Basque so I have to study a lot. I like my class a lot because they´re fantastic. We´ll publish a new post with new pics on Monday!! !